The final RTM version of Windows 10 has finally been released and is available for download and installation. The users can either upgrade their current Operating System including Windows 7, Windows 8 and Windows 8.1 to Windows 10 for free or can do a clean install. There are quite a few new features that have been introduced in Windows 10. With Windows 10, Microsoft has tried to unify the Desktop and mobile platforms. Some of the new featured include Cortana, the Microsoft Virtual assistant, Edge, the replacement browser included in Windows 10 instead of Internet Explorer. There are many more features which we will discuss later but first let’s go through the download and installation process. If you are in a country where Microsoft has already started pushing Windows 10 as a free upgrade, Windows 10 would already be downloading in your Windows 7 or Windows 8 PC without your knowledge. It is stored in C:\$windows.~BT folder which is a hidden system folder. If you want to upgrade, the best option would be to let Windows Update take care of the upgrade process. But if you want to upgrade manually or want to clean install on a new PC, you can download Windows 10 ISO files using the Windows 10 Media Creation Tool. The Windows 10 Media Creation Tool will let you not only download Windows 10 ISO files but also create installation media on a DVD or USB drive for you. Download the Windows 10 Media Creation Tool from the below links. The benefit of download Windows from the media creation tool is that you will always download the latest version of Windows 10. Please note that if you want to install Windows 10 on a new system, you will need to have the Windows product key in order to install Windows 10. If you don’t have the Windows 10 product key and want to try out Windows 10, you can either download Windows 10 Technical Preview which will be obsolete soon or else you can download Windows 10 Enterprise edition which can be used for free for 90 days (3 months). There are many features in Windows 10 Enterprise edition which are not available in Windows 10 Home or Windows 10 Pro editions including Windows To Go Creator, AppLocker, Credential Guard, Device Guard, Direct Access, deployment tools etc. This product key will only work with the trial version for installation. 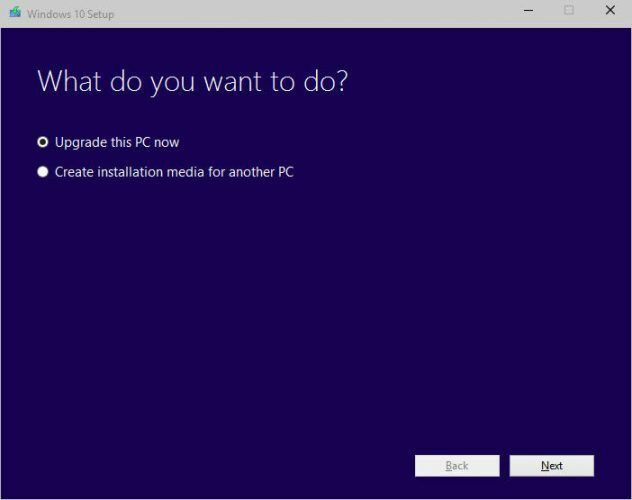 You can upgrade to Windows 10 only if you are running Windows 7 SP1 or Windows 8.1 Update. Download Windows 10 Home if you are running Windows 7 Starter, Home Basic, Home Premium, Windows 8/8.1 Home. Download Windows 10 Pro if you are running Windows 7 Professional, Windows 7 Ultimate, Windows 8 Pro, Windows 8/8.1 Professional with Media Center. Windows 10 does have a Media Center edition. So you will need to compromise on the Media Center features of Windows in Windows 10 for the time being. A DVD or a USB drive (at least 4 GB) for creating the installation media. Windows 10 free upgrade is available for Windows 7 and Windows 8.1 users. They can upgrade free of cost. There is no need to reactivate Windows after the upgrade. Make sure you are using genuine version of Windows before upgrading. The free upgrade offer is valid only for one year. After one year, the users will not be able to upgrade which the users who have already upgraded will be able to use Windows 10 for free. The last date for free upgrade offer is July 28, 2016. You can downgrade to Windows 7/8.1 if you are not satisfied with Windows 10. Just make sure that you don’t delete the backup files which the Windows 10 installation wizard saved for reverting to the previous Operating System. Those files are stored in C:\Windows.old folder. If you have any other point that I’m missing, please let me know in comments and I’ll add it here. I hope you enjoy Windows 10. Share your thoughts with us in the comments below of on Social Media. I do not find why is it not downloading. where do I have to download? I clicked on ‘Download Windows 10 ISO 32-Bit 64-Bit Free With Activation Key’. Microsoft still offers the free upgrade for users of accessibility features. Anyone may take advantage of the upgrade based since anyone who has ever used any accessibility feature like Narrator or High Contrast is a qualified accessibility features user.